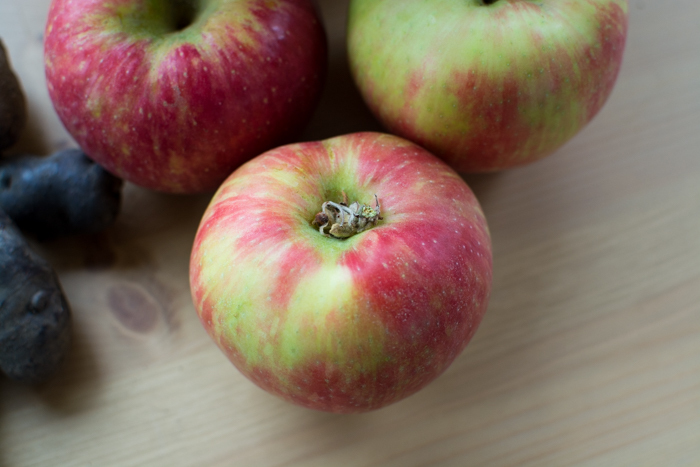 Our farmar hauls are a little light thanks to our CSA subscription this year. 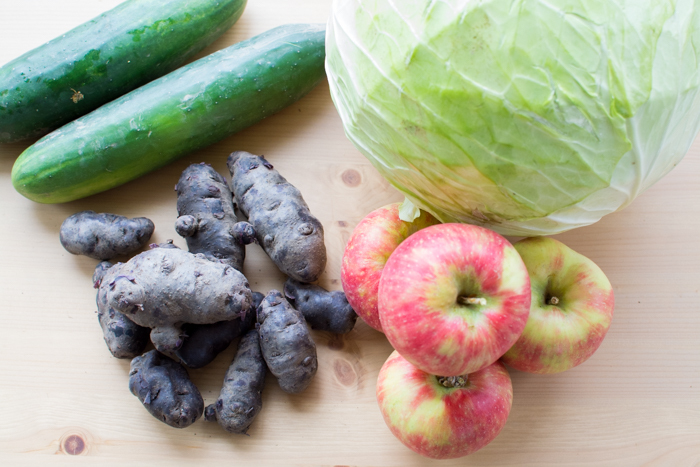 Today we picked up cucumbers, purple potatoes, honey crisp apples, and a 15 pound cabbage. 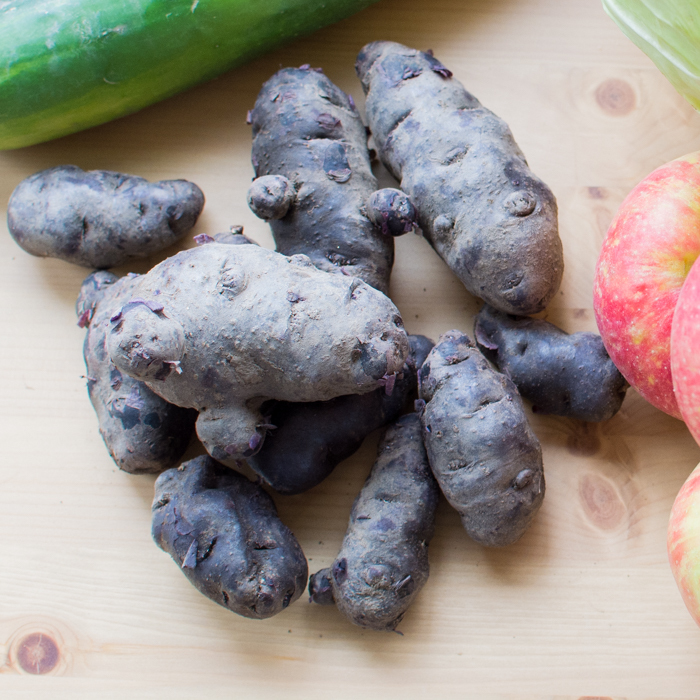 edit: I don’t like these purple potatoes. Some taste good, some taste bad, and some taste really fishy. I don’t get it. 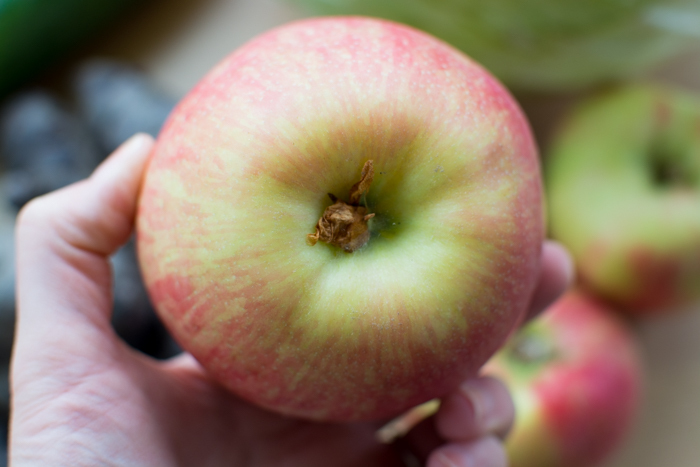 One of my favorite apples of all time, honey crisp. Like the name it’s crispy and sweet. One more edit: that huge cabbage became sauerkraut. Learn how to make your own sauerkraut here.